Do you have a portable generator for those annoying power outages? Does it sit outside on your deck or beside the house? Cover it up when you?re not using it and make it last a lot longer. Our covers are made with strong woven polyethylene which is treated with an ultraviolet inhibitor for long life outdoors. 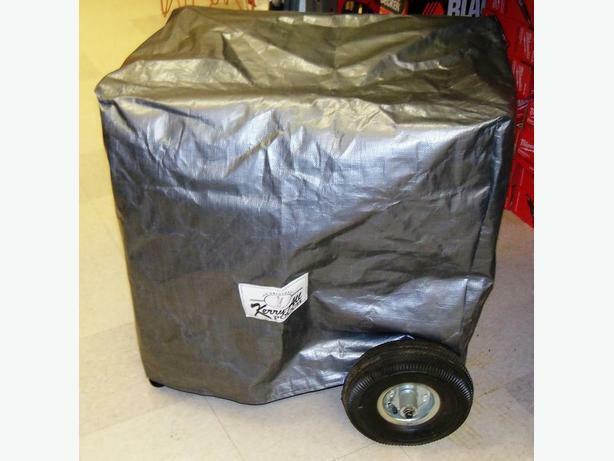 The covers have belt loop tabs to secure the cover with rope or bungee cords. They are meant to be stored outside. Those flimsy black covers made 'offshore' will rot in the sun in a few months. $58.95, HST and shipping included.